Innovative design and flexibility make these literature and mail sorters the right choice for mailroom supervisors and office managers. These mail sorters feature adjustable colored sorting trays to speed recognition and improve sorting accuracy. The mail tables are constructed of heavy-duty steel with inlayed laminate and a wide selection of colors to match your office décor. 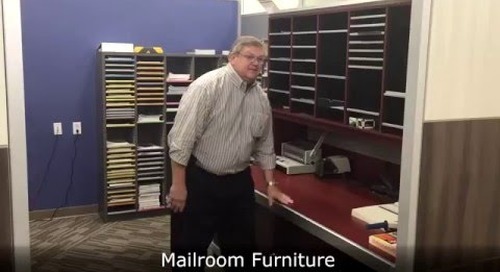 Mailroom tables are available in multiple open and closed cabinet-type configurations to meet your exact mailroom furniture storage needs. Mail and literature can be sorted quickly using colored mail trays that can be easily recognized. To improve accuracy and speed of popular items, users only need to pull a sorting trays halfway out in order to sort mail and literature. These mail sorting units are very flexible and convert easily to store various types of media, including binders, files, and supplies. Mail sorting shelves come with adjustable label holders that fasten onto sorting trays in three different positions. The label holders securely snap into place, allowing the colored labels to be easily inserted. All mail tables have variable height legs to allow you to adjust the table easily to a sitting or standing height. 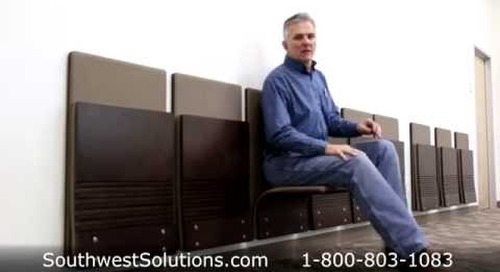 For more information on mail sorting furniture for mailrooms and literature, call us today at 1-800-803-1083 or visit us on the web at http://www.southwestsolutions.com/equipment/mailroom-furniture-mail-room-distribution-sorters-mail-sorting-cabinets.